Bryant Torres, of Elgin, was arrested May 1, 2018 on a charge of resisting/obstructing a peace officer when he fled Elgin police officers trying to arrest him on a warrant, jumped in the Fox River and escaped through a sewer drain. 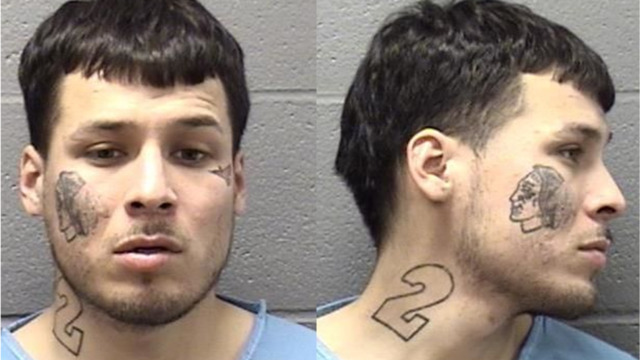 ELGIN, Ill. — An Elgin man who probably thought he made a fast escape from police Tuesday by jumping into the Fox River and fleeing through a drainage pipe was taken into custody when he popped out of a manhole, Elgin police said. Bryant Torres, 26, of the 400 block of North Gifford Street, was charged with misdemeanor resisting/obstructing a peace officer for running from police who were attempting to arrest him on warrants, police department Public Information Officer Kristi Hilton said. Officers attempted to stop Torres in the Elgin City Hall parking lot, 150 Dexter Court, about 9:40 a.m., but he took off toward the river and jumped in, Hilton said. Firefighters were called in to do a water rescue and saw him go into the drainage pipe, battalion chief Terry Bruce said. Firefighters were preparing to enter the system, “never knowing what the gases are like in those spaces, when he popped up about 150 feet in front of us,” Bruce said. The sewer grate was in front of Eaton’s Redwood Inn, 118 W. Chicago St., Bruce said. Torres was wanted on two counts of unlawful contact with street gang members and on a Kane County warrant, Hilton said.